Whether you’re treating your mom or being treated (Happy Mother’s Day! ), one thing’s for sure: you’ll need something fun to wear to Sunday brunch. From enjoying uptown white tablecloths to downtown café au laits, here are some outfit tips that will bring it all together for a memorable morning. Want to look très chic in the sunshine? Nothing says ‘relaxed summer mama’ like strappy espadrilles, a classic striped top & a fabulous Panama hat. Pair it with a classic jean skirt for added comfort, then try mixing prints with a leopard clutch. Ooh la la! Stylist Tip: “Need a hat trick? 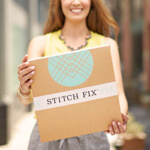 Braid 3 pieces of your favorite printed grosgrain ribbon (or pieces of a vintage scarf!). Then, with a glue gun, DIY a braided hat band in no time.” —Stylist Jodi I.
Mixing geometric prints with floral patterns gives off a classy modern-vintage feel that’s sooo Mother’s Day. Pair this with a Chanel-inspired handbag & leg-elongating neutral heels—you’ll be set to clink those mimosa flutes. Stylist Tip: “Not sure how to layer over a fancier frock? 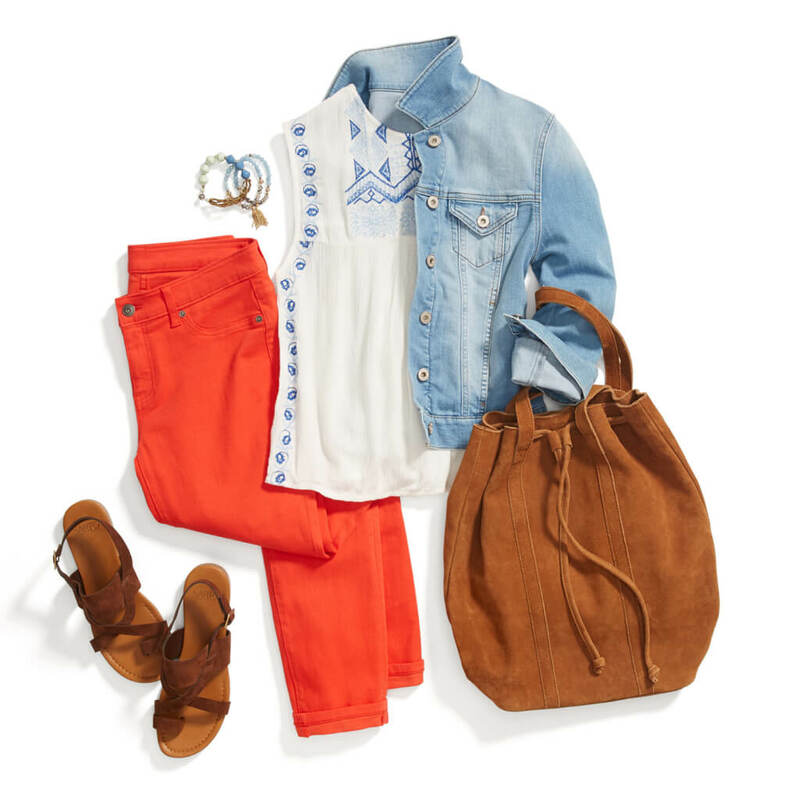 Try a cropped white denim jacket or a pashmina in a complementary color for an elegant look.” — Stylist Kate O. Wear a bouquet! 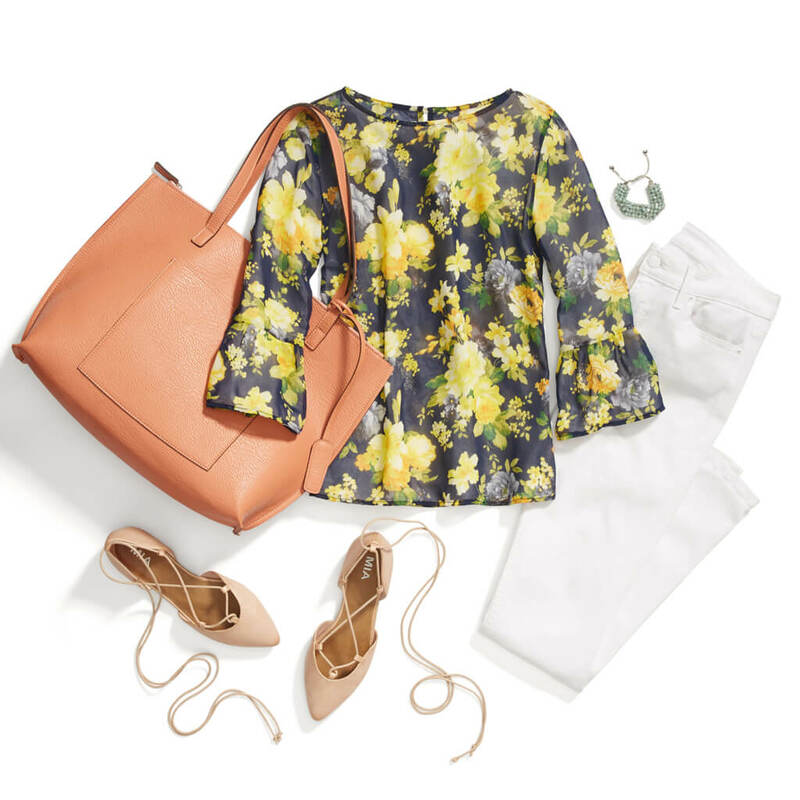 A floral print is the perfect springtime staple to grab for the occasion. Style your stems with some cropped white jeans & lace-up d’Orsay flats for a romantic, put-together outfit from head to toe. Stylist Tip: “Never underestimate the power of a single gorgeous piece of jewelry. Pull out a tone from your outfit & match it with one stunning piece.” — Stylist Christina S.
Stand out from the Mother’s Day crowd! Keep it sassy with wild patterned pants, smokin’ heels & an adventurous black-and-white clutch. A spring-ready moto jacket & timeless wayfarers will tie your look together and give you some urban flair. Stylist Tip: “When adding a pop of pattern, choose your focal point—either your top or bottom half. Keeping the rest of your outfit neutral will add even more oomph to your statement piece.” — Stylist Kelly P.
Stylist Tip: “Go ahead, match your shoes & purse—I do it all the time! As long as you feel comfortable with the combo, it can subtly elevate your ensemble.” — Stylist Lori G.
Where are you headed to celebrate Mother’s Day? Tell us about your go-to brunch looks in the comments!